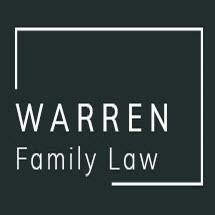 For more than 30 years, Mr. Warren at Warren Family Law has stood by families throughout the Charlotte metro area in North Carolina, providing dedicated family law services when they needed them most. Our law office represents clients in matters such as divorce and separation, property distribution, alimony and spousal support, child custody and visitation, child support and grandparent visitation. We also assist people with prenuptial agreements and domestic violence cases. We know that navigating family law matters can be complicated and emotionally draining. Mr. Warren takes the time to talk to people about their concerns, helping them understand how their finances may be affected and what might happen to them, their children and their homes. We keep our clients informed throughout the process, working to alleviate some of their stress and ensure they are prepared to make important decisions about their cases and their lives. Due to the issues at hand and the emotions involved, family law matters can be sensitive in nature. Mr. Warren is compassionate to our clients' situations, and we provide them the respectful and honest guidance they deserve. Championing our clients' rights through each phase of the legal process, Mr. Warren at Warren Family Law listens to the clients and crafts a strategy that incorporates their short-term and their long-term needs and goals. While some matters may be handled through amicable means such as negotiation or mediation, our law office understands that others cannot be. Keeping our clients' best interests in mind, we vigorously strive to help them achieve efficient and effective resolutions to their legal issues.